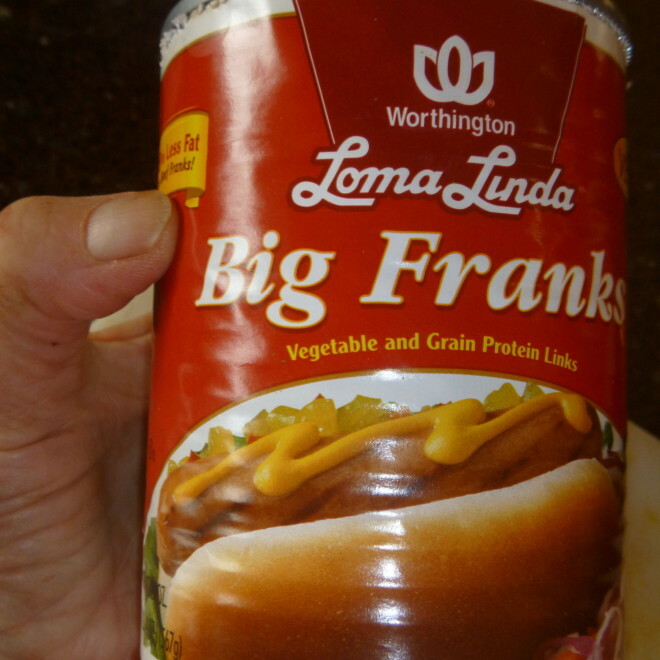 followed by a layer of thinly sliced hot dogs – as you can see the vegan type usually end up a bit crumbly, which makes them easier to spread around. 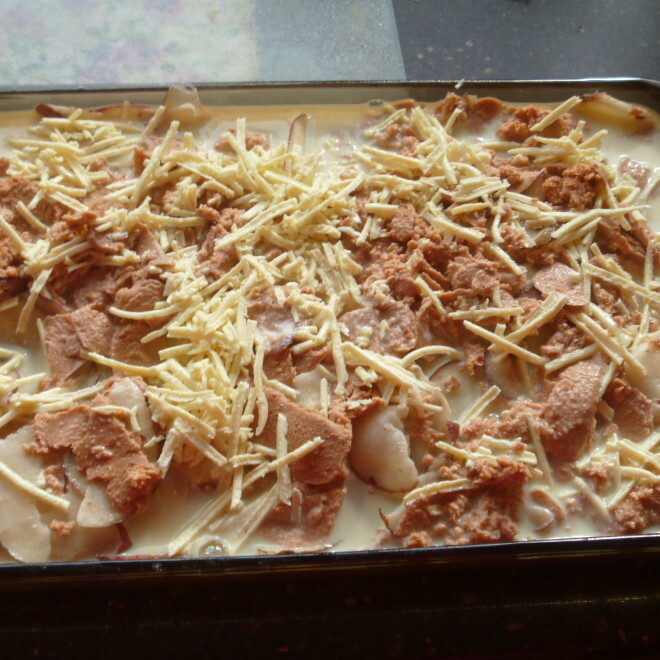 Then layer with cheese. 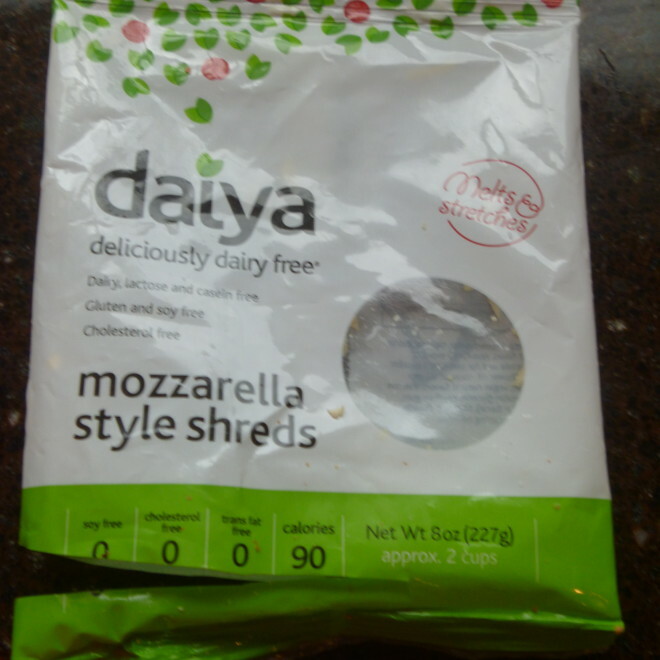 This is a vegan cheese and I use either mozzarella or cheddar flavor, depending on what I have on hand. Salt to taste with each layer. Repeat for a second layer, ending with cheese on top. This photo is a big skimpy on the cheese because I ran out. 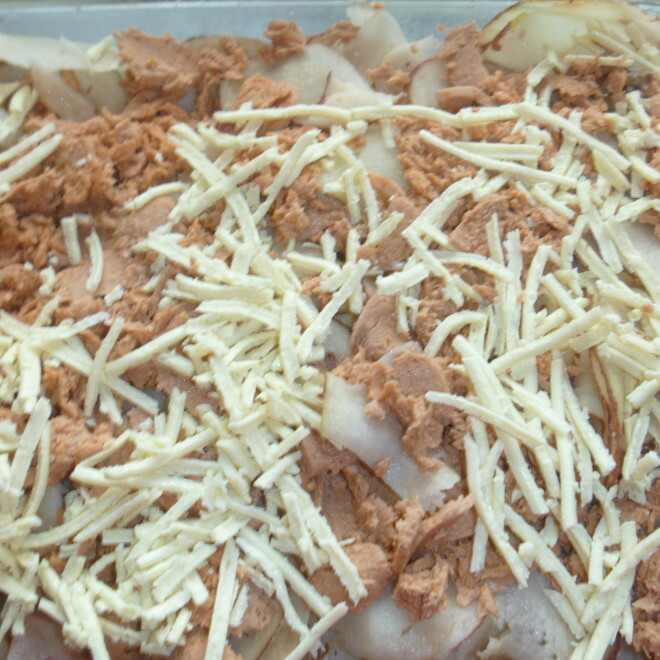 I then pour milk (soy or any type) to cover the potatoes and most of the cheese. Bake at 350 for about 75 minutes. Ovens vary, so yours may be a bit faster or slower. This is the end product, ready to serve. I do hope you enjoy the ease as well as the taste. 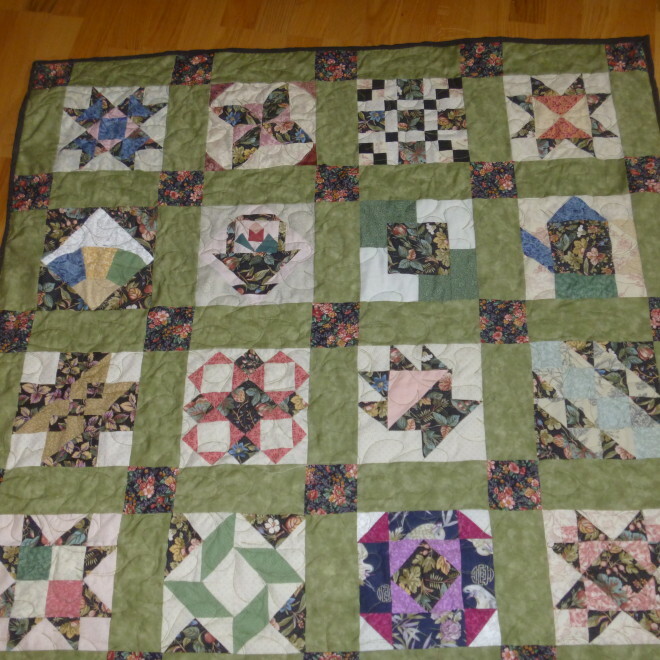 The quilt has been bound and is ready for a child who might be cold. It has a heavy batting and will be quite warm. I tried a new flour in the pancakes this morning. I was told to use it straight across for wheat and it is gluten-free. 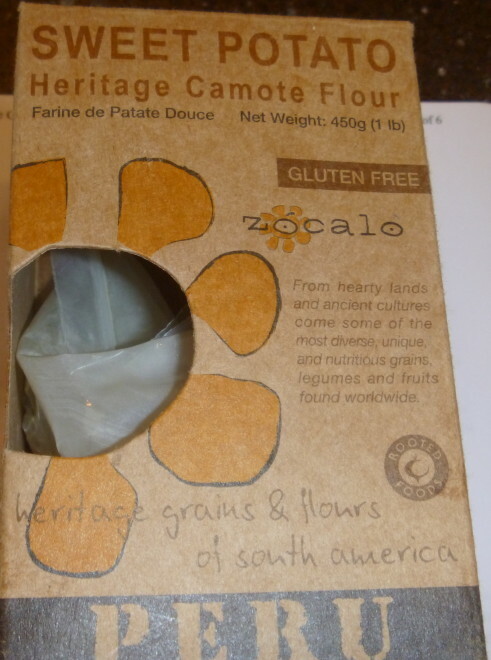 This is not an inexpensive flour. but there are times when one needs to have something for someone who is gluten intolerant and it is good to know what to use. The pancakes were a bit thicker than I usually get from this recipe, but they were extremely delicious. 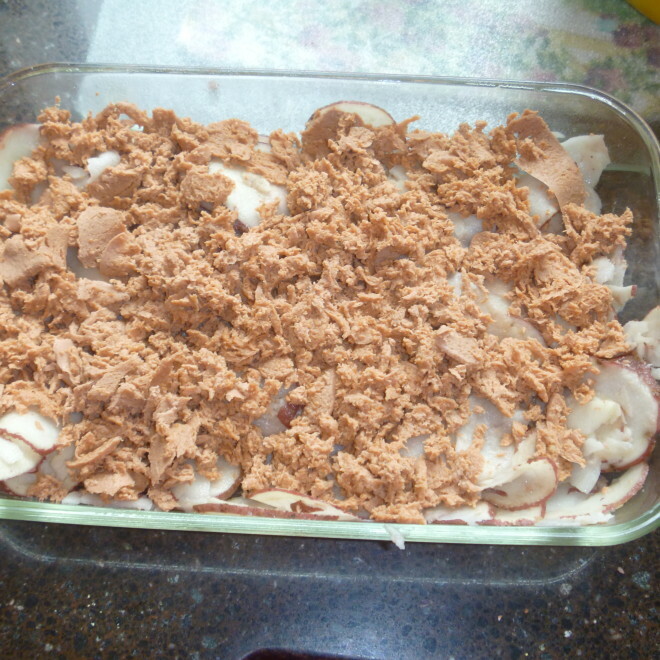 A casserole is ready for tonight and one for tomorrow. Bill says he’s never seen a potato he didn’t like and can’t ever get tired of them, which is good for me. Lacey is digging a cave. It is on the hillside under the side deck. So far, she has it deep enough, that when she is in it, you do not see her. I think she is planning to have puppies there. We have other plans. 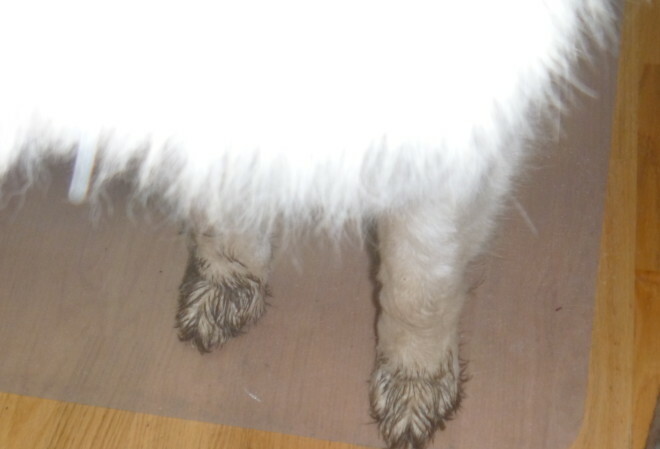 As dirty as those feet look, as soon as they are dry, the “Teflon” dog will shed the dirt and get up looking as though she had never seen dirt. I love that their whole coat does this. I went to the doctor to have the stitches removed from my finger and he was very pleased with how it looked.